UNISON Cymru/Wales will be joining trade unionists from across the country today, to mark International Workers’ Memorial Day and commemorate those who have lost their lives at work. The annual event is held on 28 April and sees workers, their families and representatives around the world marking the day with the rallying cry ‘remember the dead, but fight for the living’. 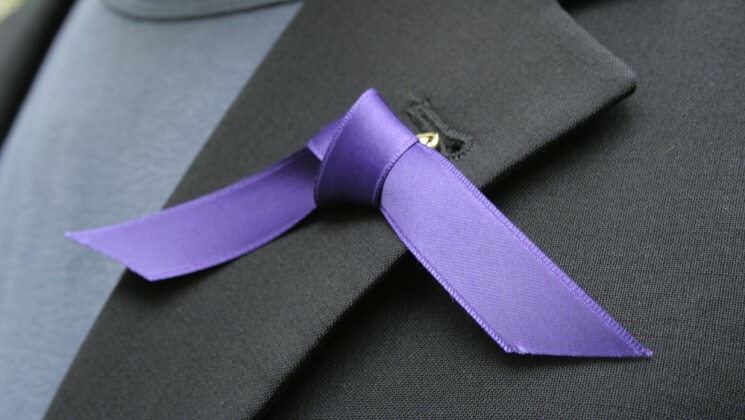 Those marking the day wear purple ‘forget-me-not’ ribbons. Over the past five years in the UK, the number of workplace health and safety inspections has fallen dramatically and the UK Conservative government’s Trade Union Bill threatens to restrict the amount of time that health and safety representatives can take off to keep the workplace safer. 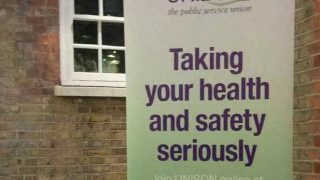 For UNISON Cymru/Wales, this risks undermining gains won over the last century by workers campaigning for stronger health and safety regulations at work to protect against injury and death. Regional secretary Margaret Thomas said: “Everyone working today – in hospitals, schools, offices, factories, shops and other workplaces – has benefited from the fighting spirit of trades unions to improve the working environment and make life safer. “Yet attacks on these basic workplace protections are on the increase. Society in general benefits from strong unions defending safe working practices. “Unfortunately, the UK Conservative government is seeking to weaken the voice of workers through the Trade Union Bill. At today’s official memorial service outside the offices of the Wales TUC in Cardiff, trade union members will be joined by Labour first minister Carwyn Jones. They will lay a wreath commemorating Welsh comrades who have died at work. Ms Thomas will be speaking to the assembled crowd in her capacity as WTUC president. Tomorrow, in an initiative organised by UNISON’s North Wales Health Branch, Ms Thomas will present a bench in the Wrexham Maelor hospital grounds to the health board. It is made from recycled materials and commemorates healthcare employees who have lost their lives at work.